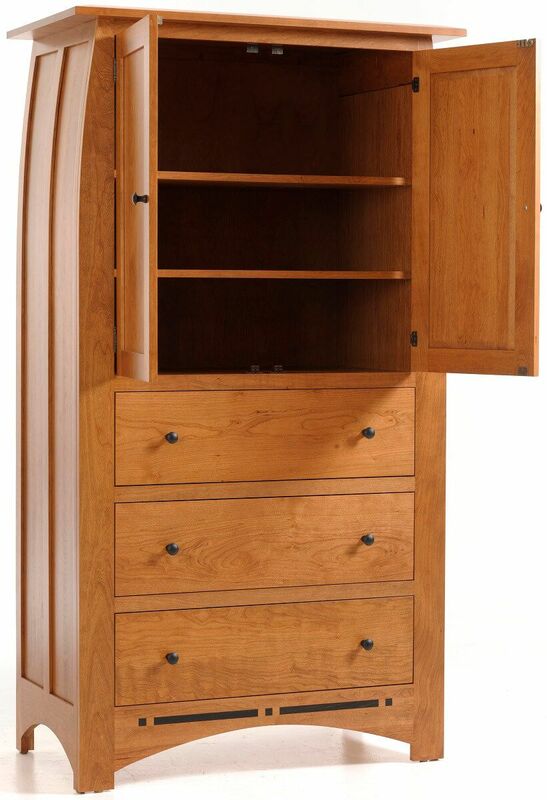 Made to order by our Amish artisans, the Palmina Armoire offers freedom of customization with all options listed in the 'Create Your Piece' menu. Solid wood construction combines with mortise and tenon joinery to ensure the durability of our Palmina Armoire. For ease of access to and controlled closure of your armoire drawers, our woodworkers include full extension, soft close drawer slides. Convert your Palmina Armoire into a bedroom entertainment center by adding the TV swivel and electronic storage compartment. Additionally, pocket doors can be constructed into the solid wood armoire for a streamlined look when opened. 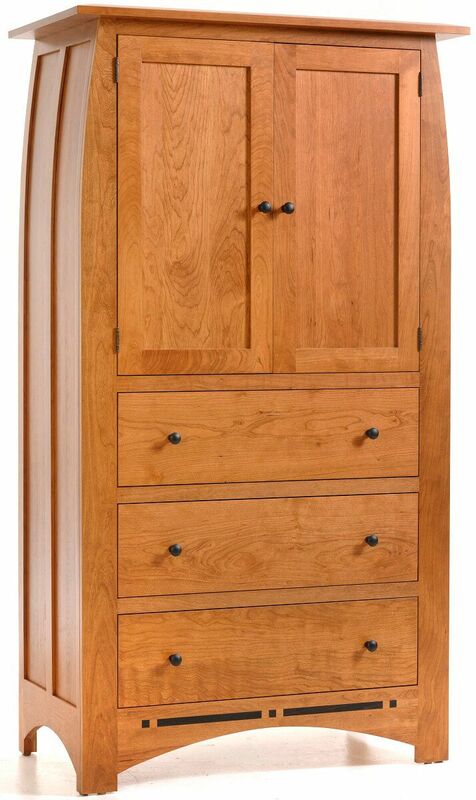 To obtain the pictured look on your own Palmina Armoire, choose Cherry with our Summer Sun finish. Unsure about your stain selection? Request up to four samples at checkout and make your decision once they arrive.